When it comes to electronics and Smartphones, there are very few brands that enjoy the reputation like Apple does. Founded in 1976 by Steve Jobs, as a computer manufacturing company, the first phone was launched by the company in 2007. Ever since its beginnings, it has enjoyed the top position when it comes to Smartphones. Known for their speed, and zero lag capacity, Apple iPhones have released seven generations until now with the 7th generation or iPhone 7 being launched in September 2016. The latest iPhone 7 uses the ultra fast A10 Fusion chip which consists of four cores - 2 with lower power and 2 with a higher power. This translates into better speed and handling capacity. Powered by iOS 10, these Smartphones by Apple come in two screen size options - 4.7 inches and 5.5 inches. While the 4.7-inch screen phones come powered by 1960 mAh battery, the 5.5-inch screen phones are powered by 2900mAH battery. 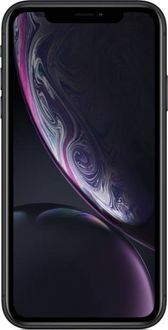 Below, find out the price list of 8 Apple Quad Core Mobiles with their latest price updated on 19th April 2019. Unlike the other Smartphone brands, buying Apple Smartphones is easy. This is because Apple offers a particular range of phones. All you need to check is screen size, Internal memory, battery capacity, and RAM. 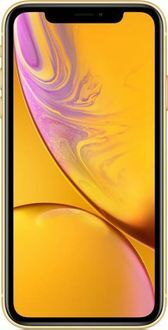 Once you have found your favourite iPhone 7 powered by Octa Core processor based on your needs and budget, finding the best online price is easy too. And with this page, you can do all of this without visiting any other site. Find the best model and then hunt for the best deal at leading online retailers like Amazon, Flipkart, Tata CliQ and others. The Telecom Regulatory Authority of India's (TRAI) Do Not Disturb (DND) app is now officially available on Apple's App Store, indicating that TRAI and Apple have possibly ended their squabble over this app. The app requires access to call data, something Apple doesn't allow third-party apps on its devices. However, TRAI had threatened deactivation of telecom services for Apple phones if Apple kept the app blocked till January. Now that the app is officially available, iPhone users can heave a sigh of relief.